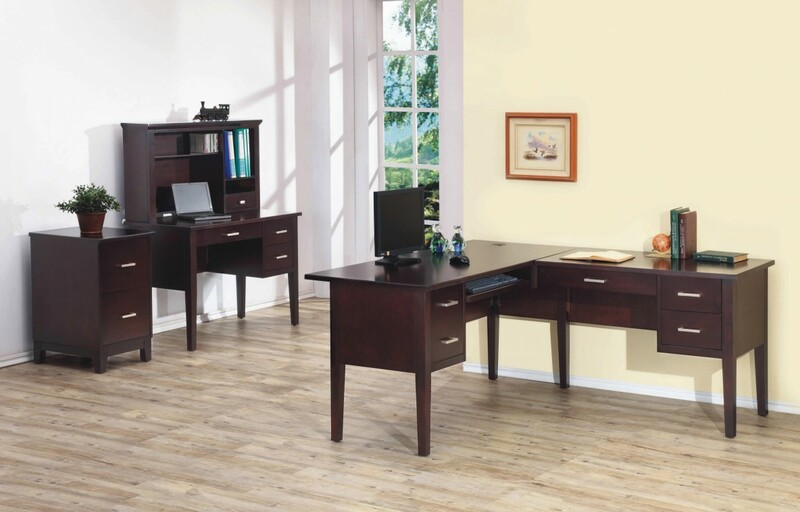 This transitional collection of home office furniture is big on features & quality yet easy on your wallet. Real cherry and cherry veneer in matte espresso finish combined with top craftsmanship refines elegance at home. Keyboard tray and main drawer can change position with each other.